Meet our most innovative linkage and trailed boom sprayers. Built by Hustler. Proven by you. With the industries best warranty, unique best in class agitation and mixing, Toughest design on the market, user-friendly low profile tanks and FREE delivery, installation and training – with a Hustler boom sprayer, you’re covered. Hustler’s careful attention to detail, smart chassis/tank/pump integration has allowed Hustler to produce the toughest and most compact boom sprayer available today that no longer needs to be parked on a pallet. Utilising the latest computer-generated flow simulation we’ve created the perfect flow of liquid within the tank. Combined with our new optional MixMaxTM technology you can be assured that your solution is mixed, and stays mixed to save you stripey paddocks. A unique CoupleUpTM system makes connecting to filling stations or filling out of a creek with the Katipo pump a snap. Our Katipo boom sprayers are modular and can have optional time savers fitted as and when you like. The SlickFitTM spray valving system, lets you choose how you’d prefer to control your new sprayer and when it comes to booms, you’re spoiled for choice! Three radical new booms, along with New Zealand’s toughest, the DuraBoomTM gives you the Hustler edge. Hustler’s Katipo boom sprayers are packed full of features. A generous sump size lets you spray on steep terrain without sucking air and leaving missed patches. Integrated into the design is a handy toolbox that is quick and easy to open and has plenty of space for spare nozzles, filters and is also handy for storing controllers when the sprayer is not in use. 3 section controls are standard with a pressure lock function which eliminates any accidental rate change and with our unique SlickFit system you can upgrade, or swap controls in a flash, as and when you like. Hooking up trailed sprayers is simple and easy! Just back the tractor up, connect the PTO shaft, plug in the hoses, cable and drawbar pin and away you go. Done! Unlike others these tanks are blow molded. This far superior technique makes an incredibly strong, UV safe and longer lasting tank. Specially designed to keep the weight balanced between tractor and sprayer, with a lower centre of gravity. Deep sump allows you to fully empty the tank even on steep terrain. A smooth internal shape reduces residues when cleaning which also assists the agitation for a thorough solution mix. Hustler’s Jacto trailed boom sprayers use a combination of coil springs, hydraulic accumulators, rubber cushions and hydraulic dampeners to provide an extremely supple ride. The triple suspension system includes individual yaw dampening, dual vertical suspension and wing dampened suspension. Eliminates excessive side loading on both sprayer and tractor. Eliminates shock damage and provides the most consistent application. In transport mode, the boom is suspended giving you added peace of mind. Our booms are second to none and are built to last! Built with a huge triple pipe design for massive strength. A unique hydraulic pivot design holds the boom tightly together eliminating any slop within the folding sections and allows the boom to flex in the rugged terrain eliminating unnecessary stress on the structure. 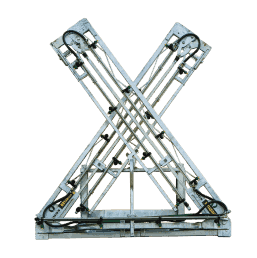 Breakaway section protects your boom from unnecessary damage when hitting a fence. Wing lift is standard. The boom is self-leveling to follow contours. Comet pumps are one of the most renowned pump brands in New Zealand. Hustler are the distributors and stock a huge range including spare parts, seal kits and pumps available overnight nationwide. Pump sizes range from 20L/min to 600L/min with pressure options of 20 or 40 bar. Hustler distribute Delavan centrifugal pumps in New Zealand. Quality is second to none, hydraulically powered with the choice of stainless steel or cast iron construction. There are 3 models to choose from with flow rates of 361 – 931L/min and pressure of up to 10 bar (145 psi). Hustler have a full range of spray hose and hose reels to suit a wide range of sprayers, and price levels. A large range of sprayguns, pistols, and lances are available from the Hustler range. A full selection of nozzles to fit most nozzle bodies are available including the popular AirMix nozzles, hollow cone, twin fan, etc from leading nozzle manufacturers around the globe. A full range of valves from the leading valve manufacturers Raven and Arag. Many configurations are available ex stock to suit any spraying application. A full range of controllers from the leading controller manufacturer Arag. Many configurations are available ex stock to suit any spraying application. Hustler carry a wide variety of fittings to suit most valve brands. Banjo fittings, fly nuts, hose tails, tank fittings, etc. Hustler also have a wide range of sprayer accessories to make your life easier. Induction hoppers, tank rinsing nozzles, filters, valves, pto shafts, gauges, foam markers and much more! Talk to one of our field consultants or dealers today.